A money plant is a plant that looks like money or is thought to bring good fortune. Money plants come in all types and sizes. If you want to bring money in your home in the form of a plant, here are steps to help you make a great selection. A bonsai money tree is a miniature tree with multiple intertwining trunks. It is easy to grow indoors and grows about 1 to 2 feet tall. This plant is ideal for a person who wants a creative hobby or wants to learn bonsai. This tree must be pruned and trained to its braided shape. It is a plant believed to bring good luck. Lucky bamboo is not truly bamboo. It is a member of the Dracaena plant family. 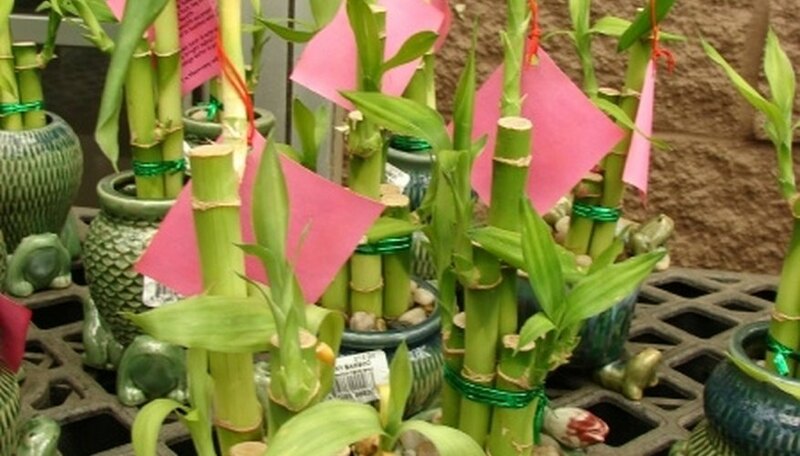 This is a rugged and carefree plant and it is extremely easy to grow indoors. It requires only water and a little light. The lucky bamboo is believed to bring fortune and prosperity. Honesty is a flower that should be grown from seed directly outdoors. This old-fashioned plant is also called Satin Flower, Silver Dollar or Penny Flower. Honesty can be planted in masses around hedges or other landscaping. It grows 1 to 3 feet tall and has silvery seedpods that look like coins. These pods are wonderful for dried bouquets. Jade plant is a succulent often called the money tree. Its flat, round green leaves symbolize money. This plant grows well indoors in a sunny place and it requires little water and thrives without much attention. The Jade plant also grows outdoors but needs moisture and prefers mild climates. Bergamot is an herb believed to attract money. Fans of this plant place fresh leaves in their wallets and purses. Others rub the leaves on their money to ensure it brings money back to them. Bergamot comes in many varieties and some have a fragrance like orange and others like mint. This fragrance may linger in your purse or wallet. Plants with the name "penny" or "dollar" or "lucky" are often believed to bring good fortune.